Are you having a problem with your sink not draining? Don’t worry, this is quite a common problem in Stuart, FL, and our team at Cooke’s can help you out. We have been helping customers with their Stuart plumbing problems for over 50 years and we will be happy to send someone out to help you get it taken care of. Often, the problem will be that the pipes leading to your sink become clogged because of water residues. 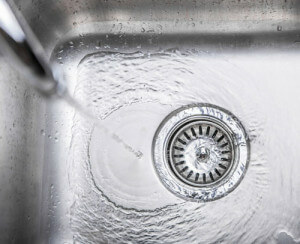 Another issue that is quite common with sink repair is clogged drains. Sometimes oil will build up in the drain from your sink and stop water from flowing as it should be. We will be happy to send a Stuart plumber out to your home to take a look at the problem and see what we can do about it. We will also help you get it taken care of and we’ll even figure out what the root cause of the problem is. Sometimes simply handling a Stuart FL sink repair is not enough. If you do not take care of the actual cause of the problem it will just continue happening again. Our Stuart FL plumbing team will take a look at what’s going on in your home and suggest what you can do it too keep the sink repairs to a minimum. Part of working with a plumber in Stuart is having access to their knowledge on the topic and we always strive to help you understand what is going on. Next time you notice something wrong with your sink not draining properly, don’t hesitate to call our plumber in Stuart FL. In just a few minutes, we can get the problem taken care of and you can get back to living a stress free life again.